[New York], September 16, 2014 - The rest of the third instalment of my New York Fashion week critiques, read Part I and Part II. A VERY chic trench suit at Boss. Trench coat dresses at Marc Jacobs. 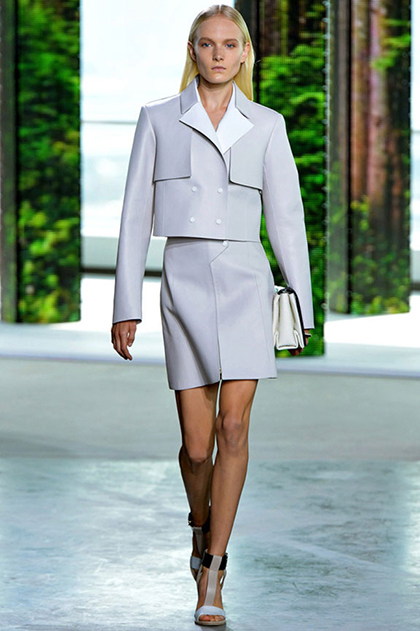 Michael Kors looks a lot more relaxed and easy going this season. All the big skirts, at Michael Kors and others. This is a trend I am excited for. When your fur matches your skirt at J Mendel. A red carpet dress that doesn't bore me to death, from J Mendel.